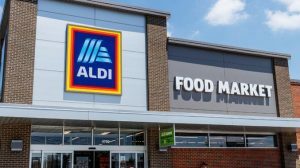 Every single item in ALDI grocery stores will soon come in 100% compostable, recyclable or reusable packaging, the supermarket chain announced this week. 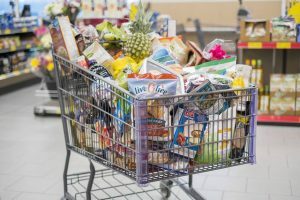 That means all of the plastic bags that currently contain chips, snacks, cereal, frozen items, produce, and pretty much every packaged grocery you can think of, will have to be redesigned. ALDI is in a unique position to accomplish this goal, as 90% of the stores’ products are made exclusively for ALDI. “As the sole customer, the chain has incredible power to dictate how manufacturers package, ship and present their items,” the release says. The manufacturers of the other 10% of popular products will have to redesign their packaging as well, if they want to keep selling them in ALDI stores. ALDI is a major grocery chain with 1,800 stores and more than 40 million customers across 35 states. The company says it will also include a How2Recycle labeling system, to empower its customers to actually recycle. ALDI says it has never offered single-use plastic shopping bags, which the company estimates has kept billions of plastic bags out of landfills and oceans. “The commitments we’re making to reduce plastic packaging waste are an investment in our collective future that we are proud to make,” said CEO Jason Hart.